In this day and age, getting a new computer every couple of years is almost a guarantee. Although there are plenty of things out there that you can still buy to last a lifetime, sadly electronics aren’t a part of that list. Hey, at least the prices of a lot of electronics seem to be going down, so at least that can help to ease the blow. As you probably know at this point, many trash companies won’t take computers. 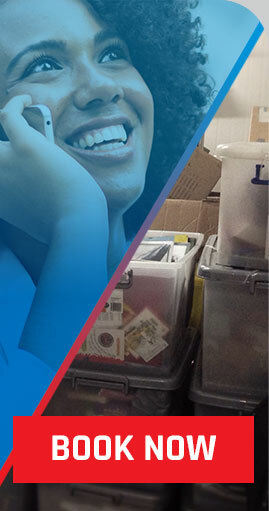 You have probably also discovered that local donation centers don’t want them. What’s a person to do? The answer, of course, is to turn to the Point Pleasant junk removal experts at Barten Bros.
As we mentioned above, computers just don’t last as long as any of us want them to. Sure, you can shell out quite a bit of money and end up with something that will serve you well for awhile, but there’s no doubt that the majority of people out there have an unused computer taking up space somewhere in their homes. Whether you purchased a computer to surf the web and do some emailing or you’re a graphic designer who is often forced to upgrade the technology that you use, the fact remains that there will inevitably come a time when a person is left with a computer that they just won’t be using anymore. If you’re lucky, you might be able to give it away to someone who is in need of a computer, but if not? Well, if not, you’re going to have to get rid of it yourself, and as you know, trash companies and donation centers might not take them. Can you take them to the dump? Sure, but you may want to reconsider because your computer likely has copper and other heavy metals that could seep into the ground water, and that’s not something anyone wants. 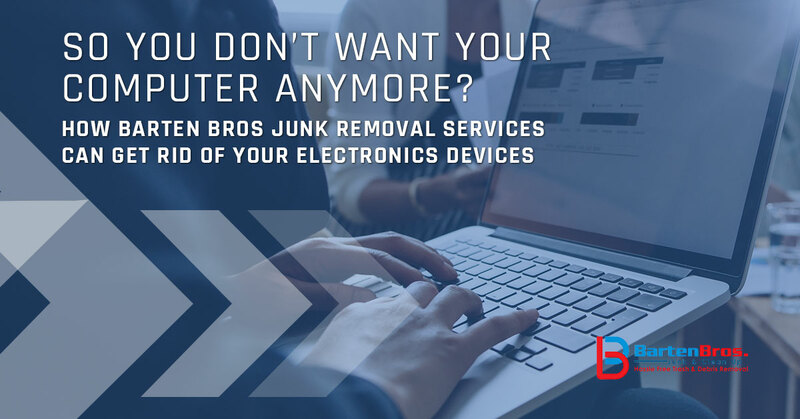 Whether it is an electronic device or another difficult-to-dispose-of item and it needs to go, the team at Barten Bros makes junk removal easy. No job is too big or too small for us. In other words, whether you’re a business who is upgrading to new computers for your employees and you need to get rid of your old machines or you’re a homeowner who has had an old desktop computer taking up space in the basement for years, we can help. It’s never too late to start your next cleanup project, so whether it’s getting rid of a nonfunctioning vehicle in your driveway or enlisting our demolition services to prepare you for your home remodeling project, our team of experts is here to lend a helping hand — literally! Contact us today to get a free quote, and rest assured that we know what it takes to get the job done the right way the first time around. We love helping to make Point Pleasant and the surrounding communities a better place to live, so reach out today to get the help you need.